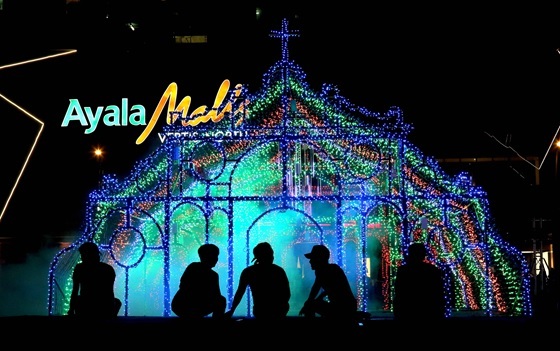 MANILA, Philippines - Those living in the north are about to witness a magnificent Christmas spectacle as Ayala Land Inc., in the spirit of gratitude, brings its highly anticipated lights and sounds show to Quezon City this year. The Vertis North Mall's facade transformed into a haven for the holidays with the first ever lights and sounds show in Northern Metro Manila, with the Filipino tradition of Simbang Gabi serving as an inspiration for the spectacle's cathedral design. Fom November 16, 2017 to to January 8, 2018, from 6 p.m. to 10 p.m. daily, catch the dazzling light and sound display never before seen in this part of the city. Throughout the holiday season, various activities will be held at Ayala Malls Vertis North, Seda Vertis North & ABS- CBN Vertis Tent– from Christmas Bazaars to holiday sales, to Christmas carols at the lobby and many more exciting activities and promos.